Eazipay Direct Debit Bureau: Another Queen's speech - more of the same? Another Queen's speech - more of the same? Yesterday her Majesty delivered her 61st speech at the opening of Parliament. She has delivered every single speech since her ascension to the throne except 1959 and 1963. In those 2 years, she was pregnant with Prince Andrew and Prince Edward. The Lord Chancellor delivered the speech in her absence. 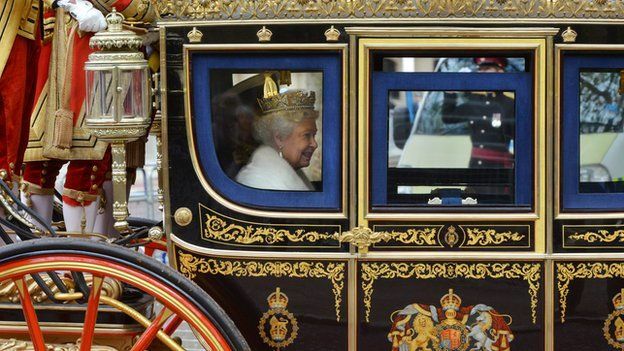 So what is the Queen's speech and why does it matter? It is actually one of the highlights of the Parliamentary year when she officially opens Parliament. There is a lot of pageantry and ceremony, but the long and short of it, the Queen announces a list of laws the government hope will be passed in the next year. The State Opening of Parliament can be traced all the way back to 16th Century, although the current ceremony dates back to 1852 when the Palace of Westminster re-opened after the fire of 1834. It is important to say that the speech isn't written by the Queen, it is written by Ministers and tends to last around 10 minutes. Every household will have a right to fast broadband, with a minimum speed of 10Mbps. Houses in the more remote areas will have to contribute to the cost of supplying the fast broadband. A commitment to cutting the cost of building new mobile masts. There is talk of consumers having the right to compensation if they have a broadband outage. There will be a law requiring companies to get permission before sending promotional spam emails and all websites with pornographic content will have to obtain age verification. At last, driverless cars could be making their way to our streets. This could change the way we all live our lives, and it is great to see the UK be innovative and encouraging this technology. There were also some updates to the ATOL financial protection for holidays. We have heard a lot about this in the past, and it seems to be constantly changing. Successive governments have promised local communities more say in neighbourhood planning, let's hope this government finally delivers it. They plan to make changes to pre-commencement planning conditions, compulsory purchase orders, and compensation framework to make it all fairer and slicker. This is for England only, as all the other parts of the United Kingdom have these powers delegated.